Moshe Kam, IEEE President, 2011, was the Robert Quinn Professor and Department Head of Electrical and Computer Engineering at Drexel University. His research interests include robotics and navigation, detection and estimation, wireless communications, and engineering education. In 2014, he became Dean of the Newark College of Engineering, a unit of the New Jersey Institute of Technology in Newark, New Jersey. 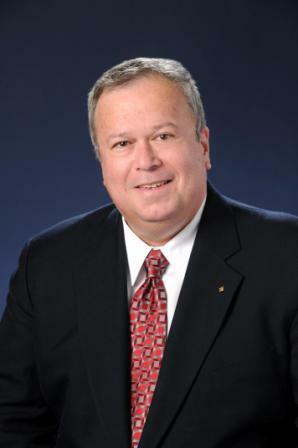 2011 IEEE President and CEO. Moshe Kam (Ph.D., P.E.) was formerly Department Head and Robert Quinn Professor of Electrical and Computer Engineering at Drexel University. He lead Drexel’s Center for Excellence in Information Assurance Education, and directs the Data Fusion Laboratory – a research laboratory founded 20 years ago to investigate radar target classification. In 2014, he became Dean of the Newark College of Engineering, a unit of the New Jersey Institute of Technology in Newark, New Jersey. Kam's professional interests are in wireless communications, robotics and navigation, detection and estimation, and engineering education. His research has been supported by the US National Science Foundation (NSF), DARPA, ONR, CERDEC, Lockheed Martin and GlaxoSmithKline. Kam received his B.Sc. degree in 1977 (Tel Aviv University), and his M.S. (1985) and Ph.D. (1987) degrees from Drexel University, all in electrical engineering. He is an IEEE Fellow "for contributions to the theory of decision fusion and distributed detection" (2001) and a recipient of an IEEE Third Millennium Medal. He served as an NSF Presidential Young Investigator (1990-1995) and is a Professional Engineer licensed in Pennsylvania. (S’75-M’77-S’83-S’85-M’86-SM’92-F’01) OFFICES: Board of Directors, Member, 2010-11, 2003-07; IEEE President, 2011, IEEE President-Elect 2010; Educational Activities, Vice President, 2005-07. Region 2, Director, 2003-04. COMMITTEES/BOARDS: Educational Activities Board: Member, 2008-09; Vice President, 2005-07. New Initiatives Committee, Chair, 2009. Standards Education Committee, Vice Chair, 2008-09. IEEE Finance Committee, 2008-09. Committee on Global Accreditation Activities, Chair, 2008-09. AdHoc Committee on Relationships with Eta Kappa Nu, Chair, 2007-09. IEEE Strategic Planning Committee, 2006-07. RAB Strategic Planning Committee, 2006-07. Membership Development Committee, Chair, 2005. IEEE Audit Committee: Consultant, 2005; Chair, 2004; Member, 2003. Regional Activities Board, 2003-04. IEEE-USA Board, 2003-04. Compensation Committee, 2004. AdHoc Committee on Executive Director Review, Chair, 2004. AdHoc Committee on Petition Candidacy Requirements, Chair, 2003. RAB Awards Committee, 2001-02. RAB Chapter Rejuvenation Committee, 2001-02. Graduates of the Last Decade (GOLD) Committee, 1998-99. IEEE Paper Prize Committee, 1994-97. REGION: Region 2: Past Director, 2005-06; Director, 2003-04; Director-Elect, 2001-02; Nominations and Appointments Committee, Chair, 2008, 2006; GOLD Chair, 1998-99. SECTION: Philadelphia Section: Section Chair, 1998; Section Vice Chair, 1997; Treasurer, 1996; Secretary, 1994-95; Awards Committee, Chair, 1994-2004; Member, 1992-94. CHAPTERS: Philadelphia Section Vehicular Technology Society Chapter, Chair, 2008-09. Philadelphia Section Joint Circuit and Systems Society, Systems, Man and Cybernetics Society, and Control Systems Society Chapter, Chair, 1987­-2009. Philadelphia Section Joint Communications Society and Information Theory Society Chapter: Chair, 1997-2007; Vice Chair, 1990-96. STUDENT BRANCH: Drexel University IEEE Student Chapter, Advisor, 1995-2006. SOCIETIES: IEEE Transactions on Systems, Man and Cybernetics, Associate Editor, 1999-2004. Pattern Recognition, Associate Editor, 1999-2005. IEEE Neural Network Council, Awards Committee, 1992-93. CONFERENCES: Transforming Engineering Education (Dublin, Ireland), Program Chair, 2009. Engineering Education Accreditation Training Conference (Beijing, China), Session Organizer and Lecturer, 2008. Meeting the Growing Demand for Engineers and Their Educators 2010-2020 International Conference (Munich, Germany), Planning Committee Member, 2007. Secure Agent Workshop (Philadelphia, PA), General Chair, 2005. Secure Agent Workshop (Philadelphia, PA), Organizer, 2004. All-day Educational Seminar on Advances in Wireless Communications, IEEE Philadelphia Section, Organizer and Moderator, 1998. Full-day Tutorial Workshop, Neural Networks and Their Applications in Control and Power Systems, International Symposium on Circuits and Systems (Singapore), Organizer and Lecturer, 1991. IFAC International Symposium on Distributed Intelligence Systems, Member of the Program Committee, 1991. Full-day Tutorial Workshop, Neural Networks for Control, The American Control Conference, Organizer and Lecturer, 1990. American Control Conference, Member of the Program Committee, 1990. Intelligent Control Conference, Member of the Program Committee, 1990. Full-day Tutorial, Control with Neural Networks, The Decision and Control Conference, Lecturer, 1990. Neural Networks for Power System Applications, IEEE PES, Panel Member, 1990. IEEE Philadelphia Section Educational Seminar on Neural Networks and Their Applications, Organizer and Moderator, 1987. Optimization and Control with Neural Networks, American Control Conference, Organizer, Invited Session, 1989. Panel Member, Trends in Sensor Fusion, SPIE Conference on Advances in Intelligent Robotics Systems, 1989. Invited Session, Neural Networks and Their Applications, the American Control Conference, Organizer, 1988. Half-day Tutorial, Neural Networks for Control, International Symposium on Intelligent Control, Co-Lecturer, 1988. The Relations Between Information Theory and Control, American Control Conference, Organizer, Invited Session, 1987. REPRESENTATIVES: IEEE to the Board of Directors of ABET: Representative, 2008-09; Alternate Representative, 2005-08. AWARDS: Benjamin Franklin Key Award, IEEE Philadelphia Section, 2008. Best Paper Award, IEEE International Conference in Autonomic Systems, 2008 (with S. Mancoridis). IEEE Fellow, 2001. IEEE Third Millennium Medal, 2000. Past Chair Award, IEEE Philadelphia Section, 1999. Excellence in Teaching Award, IEEE Student Chapter, Drexel University, 1988. This page was last edited on 8 February 2016, at 17:55.